So, have a look at the Auto-Sleeper AL-KO Corinium RB. Introduced, with great anticipation, the versatile AL-KO chassis is a great addition to the Auto-Sleeper Peugeot cab platform. Also, now available with the Fiat comfortmatic automatic gearbox option. 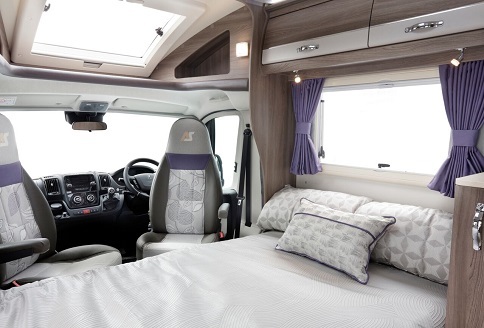 In fact, take a greater, in depth look at the Auto-Sleeper AL-KO Corinium RB and you’ll soon see the benefits offered by this model. Thus, there’s the great living space offered by the lounge and cab seating. Then there’s the well-equipped kitchen and shower room. And finally, there’s the fully enclosed rear bedroom with its great, walk around island bed. In addition, to the very stylish Cab choice, there’s the all-embracing Euro 6 engine with a six-speed manual gearbox as standard. Therefore, Peugeot use add-blue for a cleaner diesel option while Fiat add an enhanced electronics system to achieve Euro 6 status. Choose the Premium, Winter and Media Packs and enhance the specification even further. Thus, these packs enhance a good package with lots of extras and provide driver aids and help with winter use. ESP with active skid control is a particular, must-have extra. In addition, there’s also ABS braking and daytime running lights. 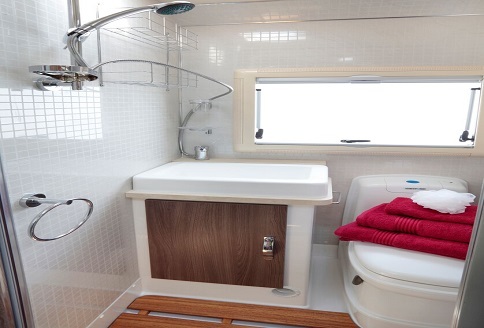 In fact, the Corinium RB is stylish in appearance, with excellent, airy interiors and high-quality fittings. 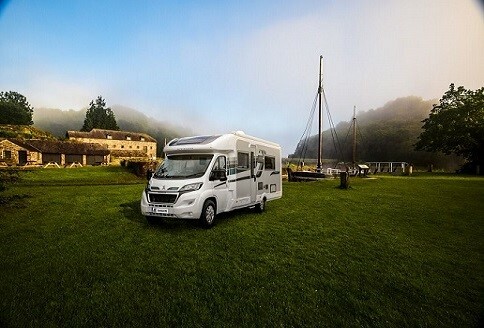 Even better, by very clever use of the AL-KO chassis, the Coriniums, for a large motorhome, are available at 3500kg. Thus, anyone who holds a standard UK driver’s licence, without class C1, is able to drive a Corinium RB. Payload, at this weight is reduced but at least owners don’t have to give using a large, luxurious motorhome. 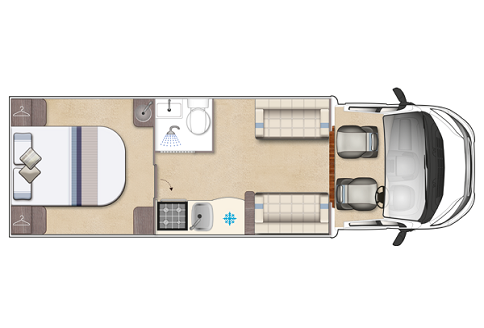 So, anyone in the market for a good-sized, luxury coachbuilt motorhome should consider making an appointment to see the Corinium range right now. 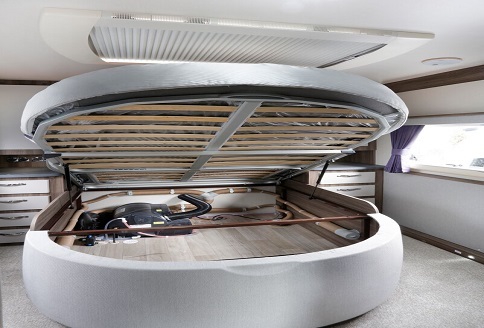 Therefore, the Corinium RB is bound to create huge interest to both new and existing Auto-Sleeper owners as well as potential down-sizers. 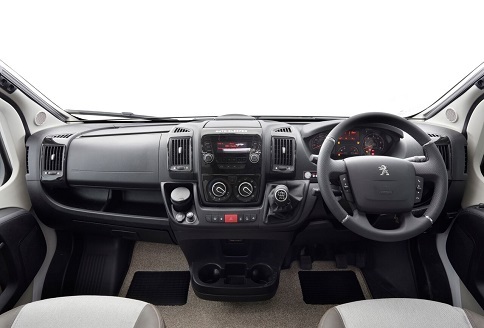 Peugeot coachbuilt owners should take a closer look as well, the AL-KO chassis is so good. 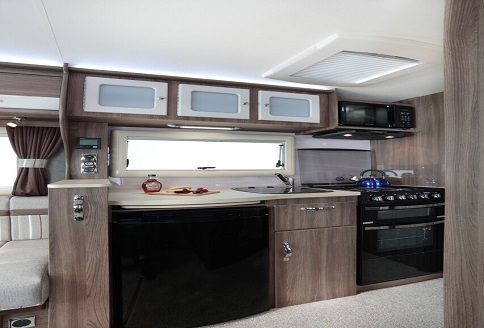 In fact, there is always huge interest in this very special motorhome. 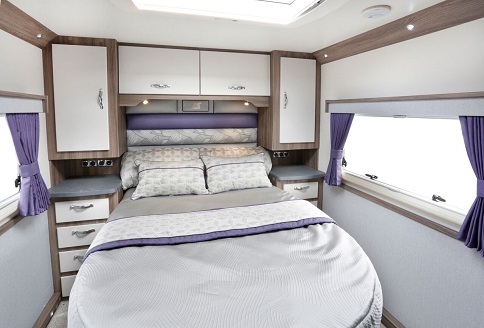 Choose the Island Bed Corinium RB and pick the option Pack that suits you.